Ask someone to share a favorite memory, and it’s likely to have occurred on a family vacation. 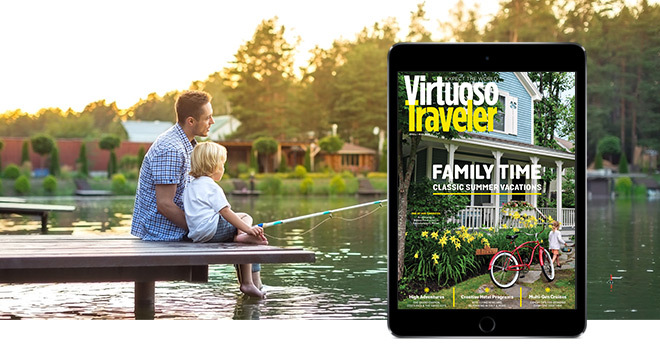 That’s why we’ve devoted the latest issue of Virtuoso Traveler to celebrating this enduring institution. From summer escapes in London, San Diego, and Maine to high adventures in Costa Rica, the Grand Canyon, and the Swiss Alps, here’s to family, in whatever form, and to exploring the world with the ones we love best. Also inside: finding community while traveling solo, sustaining New Orleans’ cultural traditions, sweet treats for grown-up palettes, and where to find the best local flavor in Portland, Oregon. Parents with young children, take note: Youth is fleeting, and summer in Kennebunkport is sublime. Time together in the Alps is just right for active families with college-age kids. Below the rim, a Grand Canyon trek delves deeper. A commitment to preserving cultural traditions and a focus on family fun are among the many reasons why we’re big on the Big Easy. Virtuoso travel advisors share a few favorite places with plenty of culture, history, and high adventure to please the whole family.